Marketing and expanding your business. 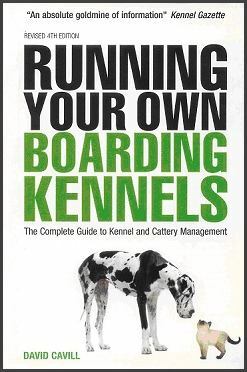 There is also a new section on ancillary services such as dog walking, pet sitting and home boarding. With an increasing demand for quality kennel accommodation for dogs and cats, a good boarding kennel is a sound investment and can provide a healthy income if run efficiently. This guide, the only one of its kind available, is essential reading for anyone who is considering starting out in the business.